BigCommerce is a specialized eCommerce website builder. It was launched in 2003, the offices of the company are located in the USA (Austin, Texas) and Australia (Sydney). Over 25000 online stores have been created with the platform by now. Even a quick glance at the service creates powerful impression. What we see is a serious product that will be interesting to small, medium and, maybe, even large businesses. Generally, the allure of a website builder depends not only upon its benefits, but on the comparison with the competitors. We have seen lots of nice platforms, which could not withstand niche competition, irrespective of their convenience and power. This often happened because of their high cost. This time, we would like to draw a parallel with Shopify – the renowned leader of the eCommerce niche. Does BigCommerce have any chances here? That’s still unclear. So, let’s test it first. Having entered the dashboard, you can get access to the tutorial on how to make use of its benefits. It’s not easy to call the tutorial informative, even though it can provide the newbie with the basics of using the system. The service also offers the blog with quality eCommerce materials. Webinars are held quite often here and any user can take part in them. Thus, we can state that the system encourages its clients to active participation, offering the required knowledge base. The “Help” section contains the link to BigCommerce University – a rich set of educative video materials on all the stages and steps of online store creation. All videos are of high quality here. Even if you have never worked with this service before, you can learn all the nuances with ease in a couple of days only. The dashboard is typical for this class of systems. 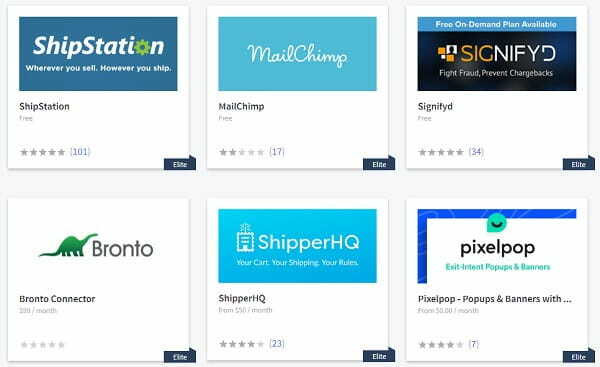 Its structure is identical to those you can see in the specialized eCommerce CMS (PrestaShop, OpenCart, Magento) and the direct competitors of the system – Shopify and Volusion. That’s not surprising: such functionality presentation is a sample for powerful eСommerce website builders. The complexity level of mastering the platform is above the average. All options are properly structured with regard to the sections and you will find the ones you need with ease. Everything is logical here. However, there are many settings and you will need time to get used to them and learn how to use the offered functionality to the advantage. Professionals and users, who have already used similar services, will master BigCommerce without any problems. Newbies, however, will have to spend much effort right from the start. BigCommerce creates the impression of a powerful eCommerce system. It offers all the available eCommerce niche options. The developers haven’t overlooked anything. There are a few moments that are worth mentioning here. The service makes it possible to trade at the numerous platforms (Beso, eBay, Shopzilla, PriceGrabber etc.) as well as through Facebook (by means of using a free SocialShop 2 app). It’s also possible to adjust automated e-mail marketing here (including the abandoned shopping cart recovery), manage the inventory, assign extra parameters to the products, organize flexible product exchange/return system, create personal ad banners, issue gift certificates and discount tickets as well as upload bulk products from CSV-files. “Help” contains links to e-mail support access, community, live chat, tutorial, BigCommerce University. BigCommerce is a leader in the eCommerce web building niche. There is nothing unavailable here. We have reviewed only a few dashboard elements, while dozens of useful options stay behind them. By using these elements, you will be able to sell more. Speaking about SEO, the system also works well here. Each product and page comes with meta-tags to be filled out, Google analytics and other features that make it possible to view business statistics right from the dashboard. The only nuance is that you won’t be able to edit the website code here, but you won’t need that anyway. Instead, you can download any installed template to your computer and edit it as needed to upload and use it further. You can also install your own footer scripts – that’s it. BigCommerce does not have any functional drawbacks – the developers have considered everything. In this respect, the website builder is almost ideal and can come up to the requirements of the most demanding users. Its features are thought-over better than those in Shopify, but the level of mastering the system is also a bit higher. 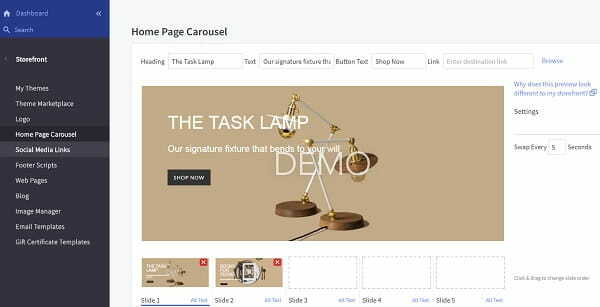 BigCommerce comes with the incorporated template store that offers a nice choice of themes. Unfortunately, there are only 7 free samples here. This is definitely not enough. They are of medium quality. Paid themes look more appealing. Their cost ranges from $145 and up to $235. All the designs are sorted out by categories. It’s also possible to search for the required template by using the search filter option based on several features. You can also upload your own template if needed. Each theme comes with a description and preview demo option. All of them are responsive and look great on mobile devices. BigCommerce can boast a strong community of web designers and developers. You can get access to the list of service partners right from the store and purchase a readymade template or order a unique one for your online store. Thus, you can get any design for your money with almost no limitations. Each template has detailed design settings, which may differ from each other depending upon the structure of the template chosen. For example, you can choose one of three color schemes in the default template, adjust fonts and colors, blog, positioning of social network icons and payment elements, footer, carousel parameters (header slider), buttons and more. All in all, BigCommerce offers powerful eCommerce design customization options. Even though, the amount of free designs is limited here, you don’t have to invest into a paid template. Due to the customization option, you can completely change even the default theme, leaving the structure as it is. Generally, BigCommerce creates powerful impression from the point of view of template quality and their settings. In this respect, the system can be called professional. The only thing that spoils the impression a bit is the correlation of free and paid templates. You can get access to the live chat from the «Help» section of the dashboard by sending an email to tech support or learning lots of educative materials. BigCommerce works really well, when it comes to client support. ✓ Real time shipping quotes. ✓ online sales per year up to $150k. ✓ online sales per year up to $400k. There is also Enterprise plan with the negotiable cost, which is calculated individually. You need to get in touch with the manager to specify the details. The plan ensures ads custom facets (extra product fields that can be used as search filters), premium tech support, negotiable volume of yearly sales. The cost of BigCommerce is above the average and almost equals that of Shopify. This is the top segment of website builders. The most negative nuance is the yearly profit limit – large companies may be attracted by the Enterprise plan, but this is not a fact as well. This website builder mostly comes up to the needs of small and medium businesses rather than those of large ones. Shopify doesn’t have yearly profit limits (although, there is another nuance associated with the transactions percentage here) and, this is why, it is more appealing to those users willing to make bulk sales. The entire BigCommerce functionality is a notable benefit of the system. You won’t find any weak points here. Templates, design customization options and online store settings, marketing options and SEO, applications and integration with popular trading platforms – these features are perfectly realized and provided here. High cost of separate applications (it sometimes exceeds $500/month). 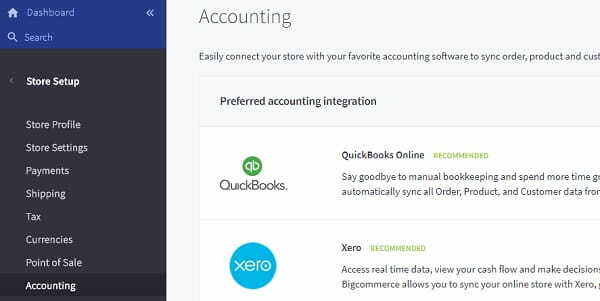 If you install everything you really like, the actual cost of online store created with BigCommerce will be several times higher than that of the chosen plan. This is very expensive. Limited amount of free readymade templates (there are only 6 of them). You will be likely to purchase a theme, which will additionally cost you $150-300. It goes without saying that you can sell much with BigCommerce. The problem is that its use (just like the use of any other system) won’t guarantee nice results. So, don’t hurry to invest into the most powerful plan and lots of apps. Try using the minimal set first and watch the result. You will further be able to adopt a thought-out decision based on the obtained results. 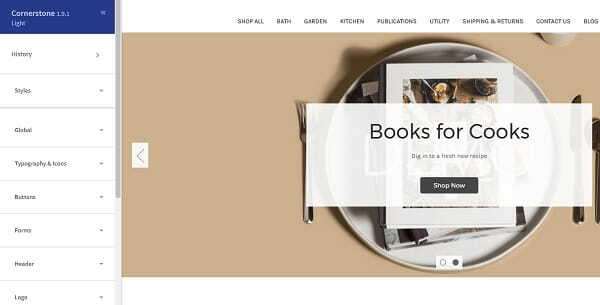 BigCommerce is undoubtedly one of the best eCommerce website builders. It is not worse than other systems, when it comes to functionality. The service can be compared to specialized CMS. It is almost equal to Shopify in terms of options and profitability, considering the major disadvantage of the system – yearly profit limit. This is quite a strange restriction that is not available in other niche website builders. On the other hand, though, this limit speaks about the arrogance of the service: its developers seem to know that you will be able to earn as much as it is stated in the terms of the plan. Each $200,000 will additionally trigger $150/month increase of the cost of the plan (this works with “Pro” only, lower plans can’t be extended). All in all, the maximum limit reaches $1 million profit per year. The higher profits should be discussed individually when setting up “Enterprise” plan. Is this service worth using? Definitely, yes, unless you run a multi-million business. Start with the most affordable plan, invest the minimal sum of money and watch the result to make the decision.